The Fontanafredda’s Barolos wine are produced 100% with Nebbiolo grapes coming from a selection of vineyards, partly owned by the company and partly by farmers who traditionally sell their grapes to Fontanafredda. Fermentation, according to tradition, occurs at a controlled temperature of 32-33°C in stainless steel vats with floating top; it lasts at least 20 days, with frequent remounts (liquid spilled from bottom and pumped onto the top of the fermenting mass) in order to optimize extraction of colour and tannins. 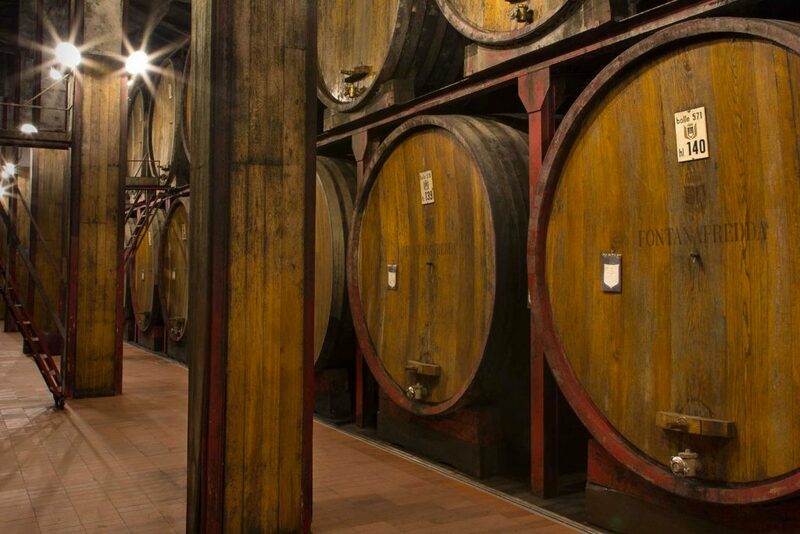 Then the wine is refined over two years in oak barriques or in 2000-liter oak barrels. The wine is then bottled for a further refinement, whose duration varies as a function of the characteristics of the vintage (year), but which is never shorter than 12 months. To understand Barolo’s importance, you need to appreciate its complexity. The bouquet is full and enveloping and capable of developing over time without losing any of its organoleptic characteristics. These captivating qualities led the nobility of the 19th century to give it the title ‘King of wines and wine of kings’.